Sat, Jun 13, 2015, 08:30 pm SL Time, ColomboPage News Desk, Sri Lanka. June 13, Colombo: Sri Lanka's President Maithripala Sirisena has declared that state media should be freed from political power and the freedom in State Television should be clearly portrayed to the people. The President said he believes that within the short time he was in office, he had succeeded in endowing some freedom and democracy to the people in various fields. However, he expressed doubt whether the lower ranking officials in the state media are able to enjoy the government's media freedom. 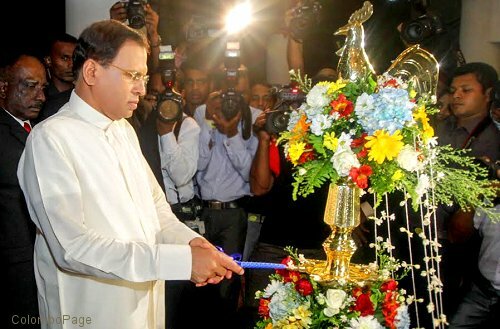 President Sirisena made these remarks as the chief guest at an event held to present 11th Raigam Tele Awards at the Nelum Pokuna Theatre in Colombo Friday night. Speaking further, the President said that certain non-governmental media institutions which accuse the Government of lack of media freedom should inquire from their conscience whether they are properly using the media freedom in the presentation of their programs to the public. Non-Government institutions whether they be the radio or television should think whether they had given this freedom to the artistes in their institutions, the President said. If that freedom was given to them, they would be able to do much more in their respective fields, he added. The President further said that the economic development of a country relies upon the economic strength of the local entrepreneurs and added that as a developing country, Sri Lanka should further strengthen the local entrepreneur and the manufacturer. He said the government considers it as its responsibility to extend the encouragement to local institutes to fulfill their victory targets. 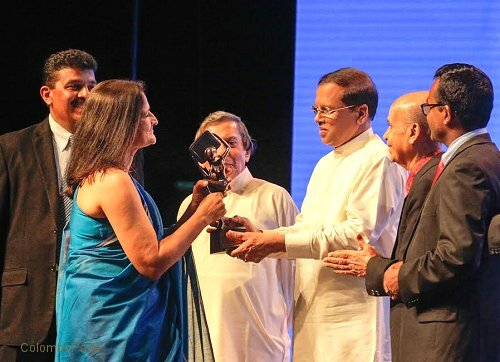 At the award ceremony, the state-run Independent Television Network (ITN), Rupavahini, was adjudged as the most popular media channel clinching awards in several categories. Dulanjali Mihindukulasuriya of ITN was the Best English News Presenter. According to the ITN, The Raigam Lifetime Award was given to veteran artiste Cyril Wickremage. The Most Popular Actor was Saranga Disasekara while the Most Popular Actress was Udari Warnakulasuriya. The Best Actor of the year was Vishwajit Gunasekara. Chandani Seneviratne succeeded in clinching the Best Actress Award.